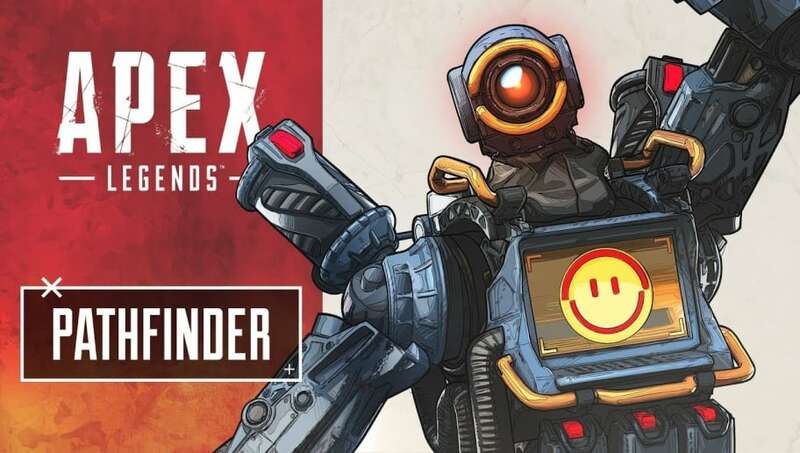 Apex Legends Pathfinder is the game's most agile hunter. The star of his kit is easily his grappling hook, which lets him grab tactical advantages or cover massive distances in the right hands. Still, the grappling hook and the rest of Pathfinder's abilities take some time to master. Here are some tips to get you swinging quickly. Pathfinder's passive ability is likely the least useful of his three. It allows him to scan one of the survey beacon's scattered around the map to find out where the next circle will be located. ​While this can be helpful in planning late game spots to hunker down, most of the time it's not worth the effort to activate. Instead, Pathfinder should look to play aggressively into other teams. Using his grappling hook, he can steal prime positioning, or bring his team along with him using his ultimate zip line. He can also use either ability to set up devastating flanks on those teams, pinching them between his pressure and that of his team. Don't let that smile on his chest fool you — Pathfinder is out for blood. To take him to his full potential, you should be too.